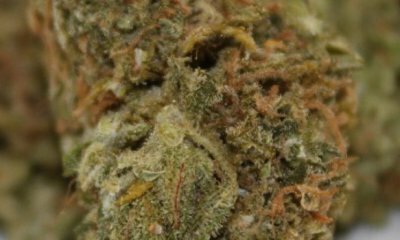 As one of the premier strains in the world, the importance of Jack Herer cannot be overstated. Named after the famed activist, this Sativa-dominant hybrid is one of the earliest to be recognized as medical-grade in the Netherlands back in the 90s. Apart from that, it is also well-known for the clear-headed psychedelic high it induces. Adding the genes of Juicy Fruit (now called Fruity Juice), one of the traits in the resulting offspring was having a tropical fragrance. Incidentally, Sensi Seeds developed both Jack Herer and Juicy Fruit. However, the original breeder of Juicy Jack remains unclear. Juicy Jack is a pretty balanced hybrid. However, its effects do lean towards the Sativa side. Containing more than 24% THC, users should never be careless in its use. A couple of tokes is all it takes to usher in an uplifting mental buzz. Almost immediately, the mind clears as senses sharpen. During this time, ideas and thoughts come flooding but are in no way debilitating. In fact, Juicy Jack significantly improves the ability to focus or lock into a particular task or chore. The physical effects that follow the mental stimulation later are pronounced. It quickly calms and put the body into relaxation. While it may cause some people to slow down, it does not hinder physical activity for the most part. And, it is also not uncommon to feel tingling sensations now and then. In case an individual ends up using too much, though, then the psychedelic high can become overwhelming. Some of the things users experience, in this case, includes racy thoughts and visual or auditory distortions. There are a couple of things to expect too during the comedown. One is the urge to eat. Juicy Jack can induce a severe case of the munchies. Another is that after hours of pronounced psychedelic high, it leaves users feeling tired and sleepy. 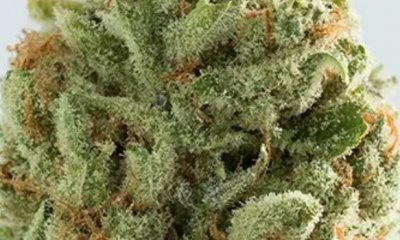 By itself, it is hard to find a fault or weakness with Jack Herer. That is not to say it cannot improve. Here is where Juicy Fruit did wonders. It added berry flavors to go along with the earthy mix that resulted in a delightful scent. Its odor is quite pungent but not overbearing. However, that is a cause for concern if one were to plant it outside the house and need a degree of privacy. It is a shame if a hybrid can smell good and come lacking in taste. As far as Juicy Jack is concerned, that is not an issue at all. With much of the berry scent carrying over, its smoke and the sweet and spicy aftertaste is a delight to the palate. One thing though, it can also be harsh on the throat. As such, vaping it or using a water pipe is a better option than smoking from a joint or blunt. There is a price to pay when using Juicy Jack or any marijuana for that matter. And often, inconsequential as it is nothing more than a nuisance in the worst-case scenario. Dry eyes and mouth are typical and so is having a mild headache or feeling dizzy. These are best avoided or minimized by using weed in moderation. In extreme cases, and through no fault of users, some people do end up using too much. After all, this is an extremely potent hybrid. In that case, it may cause a few people to feel paranoid. One of the striking things about Juicy Jack is its uncanny ability to swing the mood. No, it does not turn one into a psychopath. Instead, in leaving users feeling happy throughout the high, it already takes care of stress and even conditions such as depression. Not surprisingly, it is also beneficial to medical users. Its predecessor was among the first to be sold in pharmacies in the Netherlands. These same pain-relieving benefits are much evident and has provided comfort from body pains and muscle aches. Other medical uses of Juicy Jack include helping people sleep. Juicy Jack is hard to come by, and its seed may not be available at this time. It is also not the most comfortable hybrid to cultivate. During a grow, it requires more attention than average. Nonetheless, the reward comes later when one gets ahold of fresh buds that promises a clear-headed and focused high with matching body relaxation. It takes between 8 to 10 weeks for Juicy Jack to complete the flowering phase and be ready for harvest. 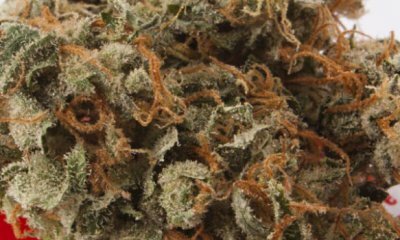 Under ideal circumstances, growers can expect 12 to 14 ounces of buds per square meter under 600w of lighting. The plant likely thrives best in a warm climate between 21 to 26 degrees Celsius. Each plant can produce at least 14 ounces of buds by the second to third week of October. Have you ever smoked or grown your own Juicy Jack? Please let me know what you think about this marijuana strain in the comments below. The post Juicy Jack appeared first on I Love Growing Marijuana.